Replacement for 20 year old SL135 !! (19 years & 11 months to be accurate!!) Needless to say the above says everything about the quality of Sonnenschein. Replacement for another SL135 (also supplied by you) which only worked for 3 years. Seems to be very short for the type of battery and the usage profile (campervan). I hope the replacement lasts longer. Sonnenschein Sportsline SL135, Gel Battery for Starting, Continuous Power and Solar Storage. Completely Maintenance free. QHi. I´m confused I´m afraid. The SL135 Sonnenschein is listed on the manufacturers website as 135 or 150 amp (C20, c100?). 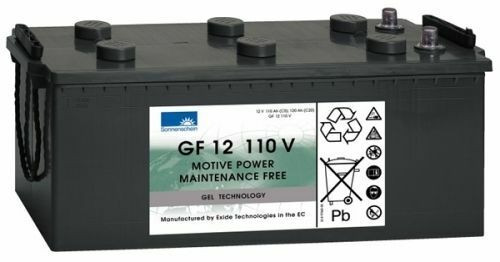 Your listing says it is 110 amp and shows a battery with the code GF12110V...where I guess the code means 12v 110A. Is the problem just an outdated photo or spec, or are they different batteries. Thanks in advance. I need a battery for my Westfalia camper and I think this was the orig spec battery. AThe Exide Sonnenschein SL135 was replaced by the Exide Sonnenschein GF12110V about 6 years ago. 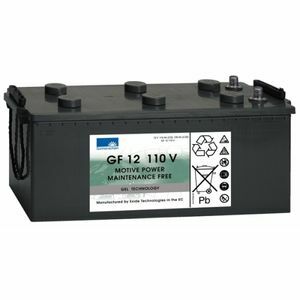 However the GF12110V is 120Ah @ 20hr rating, whereas the SL135 was 135Ah @ 20hr rating. If you do not want to lose capacity (Ah), Exide also have a 140Ah battery of this type. CLICK HERE to see this on the website.